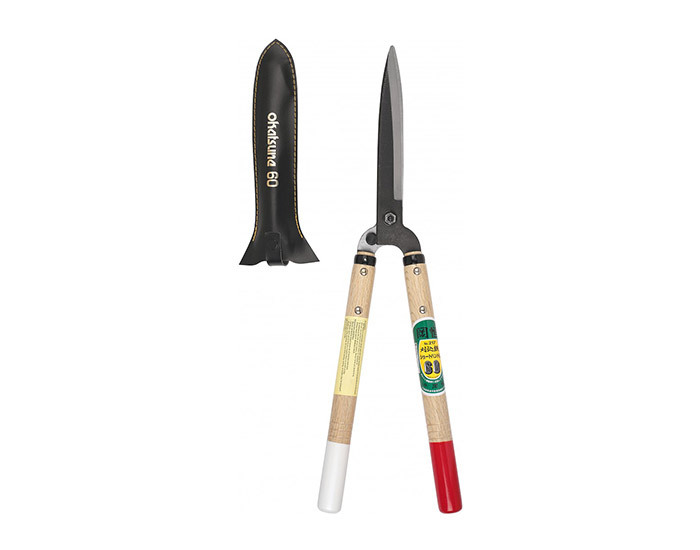 The long blades (8") and wooden handles of these Shears provide a perfect balance for detailed topiary work, whilst being tough enough for hedge pruning and more brutal work! Ideal for box clipping, cloud pruning, yew hedges, bay standards, holly dumplings (?) and just about everything else. Not to be confused with the rusty old things at the back of the shed. Beautiful feel, and a very seductive swishy shhnippy sound to them.